In June 1944, American Marines and soldiers began the conquest of the Japanese-held Mariana Islands. After a bloody 24-day struggle for the island of Saipan, next the Americans invaded Guam and Tinian in late July. Guam fell after 20 days of battle; Tinian, after eight. B-29 Superfortress bombers soon arrived on the islands to begin the strategic bombardment of Japan. 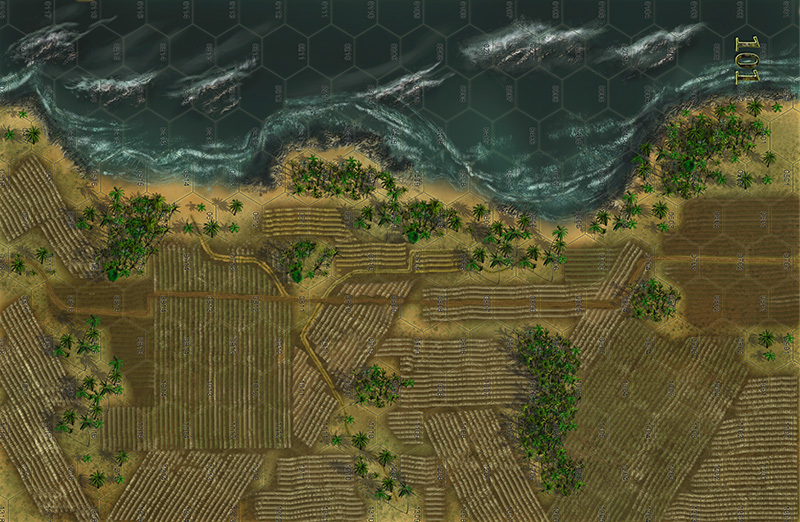 Designer Jay Townsend brought you the battle for Saipan in our game, Saipan 1944. 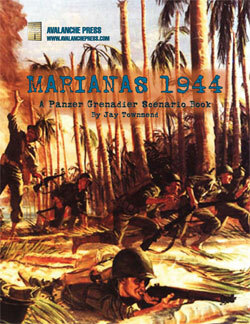 Panzer Grenadier: Marianas 1944 is an expansion book for Saipan 1944, studying the battles for Guam and Tinian in 30 new scenarios. Ten of them take place on Tinian, and twenty on Guam – one from the 1941 Japanese invasion, and the other 19 from the 1944 American assault. Everything you need to play all 30 scenarios is included with this book and the boxed game Saipan 1944 - no other games or supplements are needed to play any of the 30 scenarios. 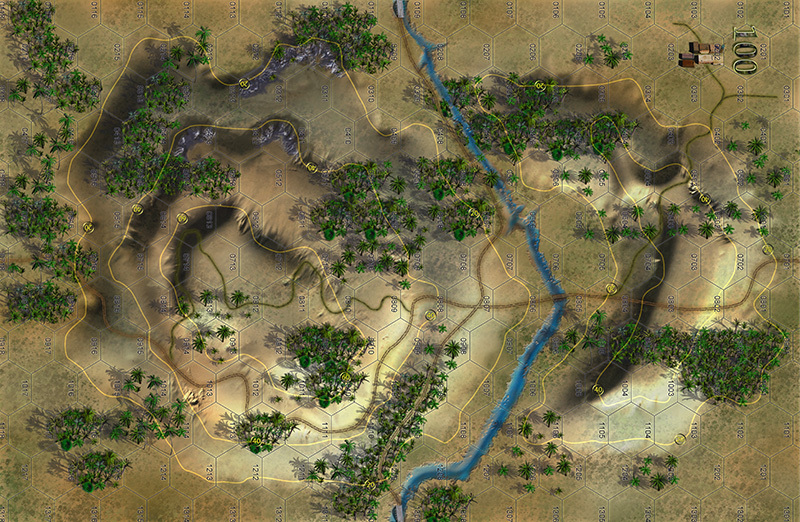 Marianas 1944 includes two new maps by Guy Riessen – numbers 100 and 101 as Panzer Grenadier’s map collection bursts into the triple digits. These are used with the four maps from Saipan 1944 for the book’s 30 new scenarios, but are fully compatible with other Panzer Grenadier maps. There are also 24 new die-cut, silky-smooth playing pieces featuring additional unit types: Japanese truck-mounted anti-tank guns and heavy coastal artillery, Marine flame-throwing Sherman tanks and the entire Guamanian order of battle for World War II. Click here to purchase this fine product.